Can't commit to a week or need a fill in camp for the kids here and there over the summer? Choose our 1 Day Surf Camp. Each new day at our Surf Camp is it's own autonomous session customized to yours or your child's level of surfing. From having never surfed to needing some fine tuning. 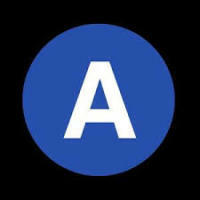 We are easily accesible by Subway. Take the Far Rockaway train to the Beach 67th st. station. Sign Up Now to Guarantee the Surf Camp Week You Would Like To Join Us. Click on the "Book It" Button. Leave a $100 Deposit To Reserve Your Surf Camp Spot. 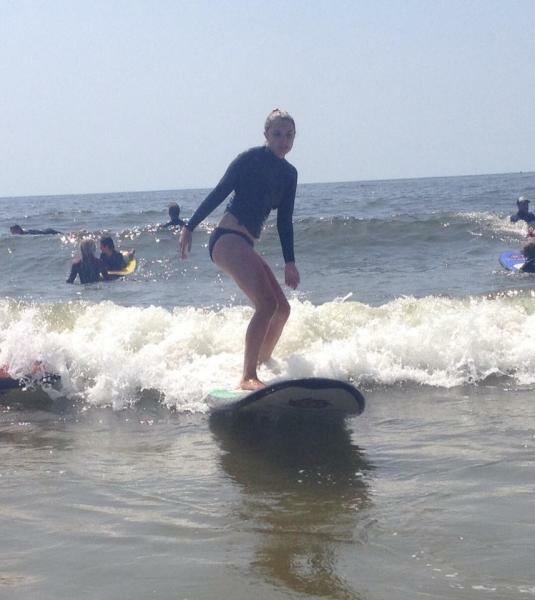 Balance is Due On or Before First Day of Surf Camp. Cash, Check or Credit Card are all Accepted. We Look Forward To Seeing You Down The Beach!! 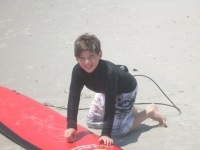 Our First Week of our Summer Season Surf Camp Starts Monday June 18th. 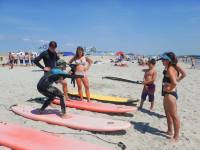 Surf Camp Runs Monday through Friday 9am to 1pm. Sign up for 5 Days, 3 Days or 1 Day. We Supply All the Gear You'll Need. 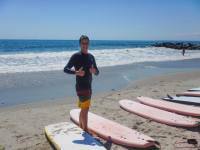 Beginners, Intermediate and Advanced Surf Camps Every Session. Take Advantage of the Nice Weather, Warm Water, and No Crowds. Each New Day of Surf Camp is it's Own Autonomous Camp. Summer Is Coming!!! 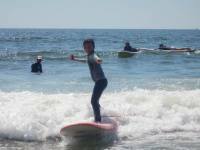 Surf Camp Runs Monday Through Friday 9am to 1pm. 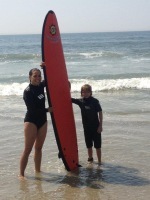 We Are A Safety First Surf School. We Want Everybody To Have An Enjoyable Time In A Fun, Safe Environment. Beginner/Intermediate/Advanced Groups at Every Surf Session. Come For As Many or As Few Days As You Like! Not Sure If Surfing Will Be for You? Sign Up For Our 1 Day Surf Camp And Give It A Go. If You Wind Up Getting Hooked And Want To Keep Surfing, We Will Pro-Rate Your Single Day Towards Whatever Program You Sign Up For. Easy To Reach By Subway. Far Rockaway A Train To Beach 67th Street Station.